i am very excited to be featuring this wonderful miniature project on my blog today. 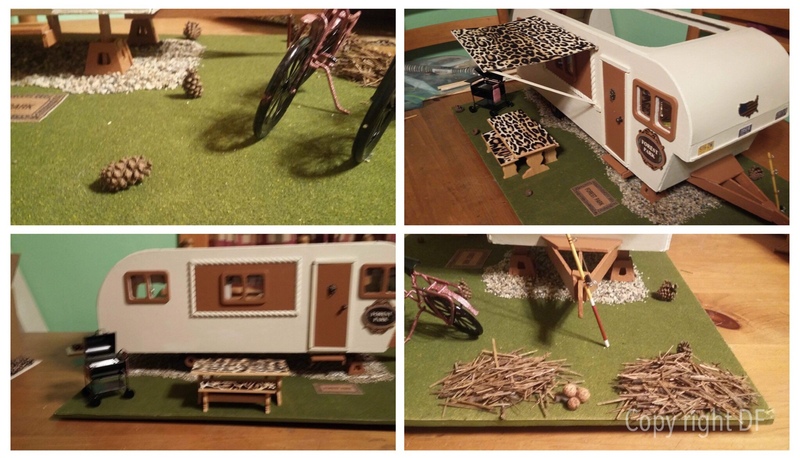 This amazing miniature property is a Vintage style RV (recreational vehicle) or caravan as we call them here in the UK which has been created by one of my American miniature art collectors. Darlene has several of my paintings in her collection and this is her second miniature property project and is a gift for her friend in California. The travel trailer kit is by Green leaf Dolls houses in the USA. I did make the curtains and awning from from heavy scrapbook paper and I also put that same paper on picnic table. My friends RV park backs up to Plumes National Forest in Cannon Dam California. The trees there are huge with pinecones on them. I used some of the baby pinecones and pine needles from her property. 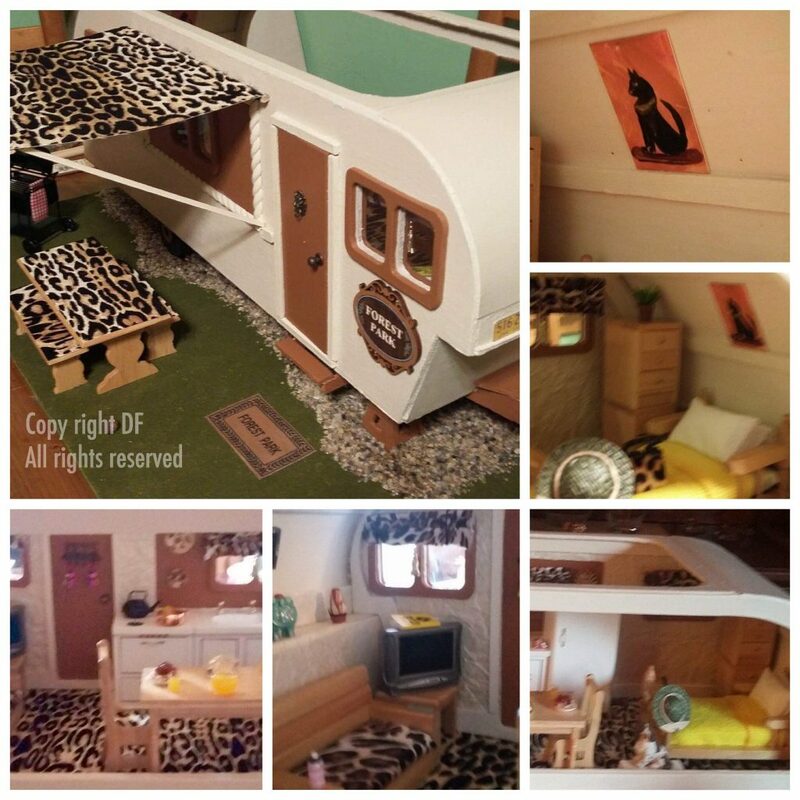 The detail is wonderful and a lot of work and time has gone into creating this miniature property, the RV or caravan as we say here in the UK is set in its own plot with garden accessories and a seating area. The attention to detail in the miniature work is lovely I do like the hat on the bedpost. And of course a piece of my art features on the wall. The Egyptian style cat fits in perfectly to this setting. Thank you Darlene for allowing me to share your project on my Blog. I do love seeing my art in its new home.